Welcome to the BAICE e-forum, again! Today’s discussions are facilitated by Ms. Malini Ghose, Founder member of Nirantar, India. 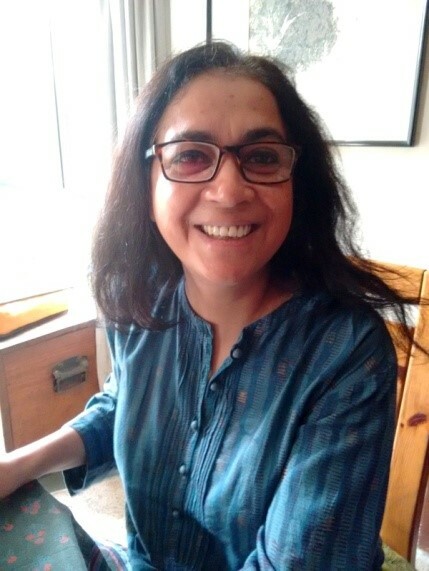 Malini Ghose has worked in the fields of literacy, education and women’s rights for over 20 years, in various capacities – as a grassroots practitioner, trainer, curriculum developer, researcher and advocate. She has provided technical assistance to government and NGO interventions and engaged with policy development on gender and education related issues, nationally and internationally. Malini is a founder-member of Nirantar, a resource centre for gender and education in New Delhi, India. She has an M.A. in Political Science from the New School for Social Research, New York. She is presently a PhD scholar in Social Sciences at the Centre for Modern Indian Studies at the University of Göttingen, Germany. Recently there has been a growing interest in the use of ICTs in literacy programmes, in policy and practitioner circles. ICTs are offered as the solution to several challenges facing adult literacy programmes – low quality, poor results, lack of learner motivation, and paucity of resources. ICT-based literacy packages claim to make people literate within very short timeframes and with minimal investments in teacher/facilitator training. Then there are the sceptics who argue that a simple “technological fix” cannot address the complexities confronting adult literacy programmes or larger issues: of the digital divide, for instance. What does the field reality look like? I would like to initiate the discussion by briefly sharing some observations from a meeting I attended with women learners in rural North India, organised by an NGO exploring the possibility of introducing a mobile based literacy programme (a donor had expressed interest). Is the optimism around ICTs overstated? Can ICTs offer a transformative learning experience or will they only serve to reinforce existing iniquitous social and economic relations? The above field situation points to several complexities, including the exercise of power relations, as well as the possibilities. Do any of these observations resonate with your experiences or do you have different ones that you would like to share? Being a relatively new area of enquiry, not much research is available. What kind of a research agenda do you think would be useful to strengthen literacy programmes or unravel some of the complexities being discussed? The use of ICTs have changed people’s literacy, numeracy and communication practices yet these have not found their way into literacy classes, training or curricula. What kinds of collaborative research or other projects could support such efforts? The focus of ICT interventions seems to be limited to improving teaching and learning or improving learners’ access to information. Shouldn’t greater efforts be made to ensure that the voices of adult learners are heard on social media or digital platforms? The role played by ICTs in adult education literacy/ learning cannot be underestimated. But it should be noted that ICT has to begin with what the members of the community have. The reality is that the use of ICT in adult literacy education/learning in developing countries such as Uganda has not been exploited. ICT has in most cases been seen as the tools to be used by those who have embraced education through the main stream education, which is formal education. In Uganda, adult education/learning is not even under the Ministry of Education, Science, Technology and Sports. It is under the Ministry of Gender, Labor and Social Development. This means that when the government is considering using ICT in Primary, Secondary, Tertiary, and University institutions, little is remembered on adult education/learning. If people can embrace ICT by using resources such as video clips, mobile phones, Using Google resources that one can use to get verbal information, distance learning, translated information on the internet, etc; it would enable many people to have the information they need to be able to fulfill their dreams through adult literacy education/learning. However, policy makers, implementers, curriculum designers must ensure that the technological services and resources of ICT they are suggesting are appropriate to the needs and aspirations of the beneficiaries. It is through the improved appropriate technologies people use at different times that they eventually arrive at advanced technology. The use of ICT resources in adult literacy education/learning is still at very levels, and so, it needs to be urgently addressed if economic and human development are to move fast to meet the aspirations of a large group of the marginalized population especially in developing countries. Although ICT is often linked to computers and mobile phones, it may also subsume the use of more traditional devices that facilitate exchange of information such television and radio. For example, in the Philippines, one of the programs under the Alternative Learning System is the RBI or radio-based instruction wherein lessons are aired via local radio stations. Giving and receiving feedback regarding the lessons are done through phone calls, text messages or face-to-face interactions. Apart from this, the Department of Education is in partnership with technology based colleges which serve as community learning centers (CLCs) for out-of-school-youths who would like to finish their education. The goals and strategic plans for these programs are commendable but issues on implementation are multifaceted. One of the biggest challenges stakeholders face is sustainability of these programs. As the India experience indicates, most initiatives are pilot cases funded by external agencies/donors- this makes sustainability a problem. Another thing, setting up and maintenance of infrastructures need huge investments not only in terms of financial resources but manpower too. Facilitators are to be equipped with skills not only in using technology but most essentially in utilising technology to facilitate and enhance literacy learning. Another issue is the great “digital divide”. Access to ICT is more difficult for those in developing countries due to costly computer units and mobile phones. Apart from this, people have to spend a lot for internet connection, not to mention the power interruption problems in some areas. These are just some of the issues on the integration of ICT in both formal and non-formal education settings. Given these challenges, I was just wondering how governments create policies and provide opportunities to access ICT? How can ICT improve adult literacy programs and the access to these programs? In our context Ethiopia, rich literate environments are found to be essential for encouraging individuals to become literate and sustain and integrate their newly acquired skills in their everyday lives. As a result of literacy campaign, a lot had been achieved. However, the literacy skills relapsed. That was because there were poor literate environments at that time. These days, as well, lack of literate environments are one of the chronic challenges for functional literacy program. Adult learners expressively experiences the relapse. Therefore, ICTs can offer transformative learning experience. Unlike other technologies, there is a revolution of ICTs in developing countries particularly in cell phones. There is prevalence of the usage. If policy makers and program developer integrate literacy with ICTs, literate environment can be found in both public and private spheres, home and community. The social and cultural environment in which people live and work is changing as a result of globalization. So, ICTs are an opportunity for policy makers, researchers, NGOs and adult educators to create literate environment and ensue lifelong learning so that poor women enjoying sustainable social development. I completely agree with Malini Ghose that ICT should be used more as a tool to enable the adults to raise their voice. This is what considered as the key to empowerment. We can not afford to go with ‘digital divide’ leaving the large number of adults behind. Definitely the coming days are going to be fully ICT centric. Very basic premise of SDG is nobody left behind. So it become mandatory for the adult literacy/learning planners and practitioners to integrate ICT usage in its various forms (as appropriate to context and affordable) in delivery of literacies programmes. In the real world, use of ICT tools in various forms are in use by the adults with good and limited reading skills. What we the adult literacy educators in many cases could not do is engaging these devices for learning purpose. On the contrary there are good number of cases where this has been tested and scaled up. Research and documentation of those lessons would be of great benefit for others who want to take it forward. For corporate sectors (ICT concerned companies) it might be a worth field of investigation and investment. (see for example, Prensky, 2001, Tapscott, 1998;. you may have noticed some similar traits in the behaviours and preferences of your learners similar to those identified but do the learners of a whole network generation really learn in a different way? As result of growing up in this digital age and being immersed in the use of technology in many aspects of their daily lives, Prensky (2001; 2011) argues that today’s students ‘think and process information fundamentally differently from their predecessors’ and are native speakers of the ‘digital age language’. It is argued that tutors, as digital immigrants, or newcomers may well begin to embrace and support the use of technologies in their own approaches to teaching, learning and assessment but this may not always be aligned with the way with our digitally native students approach their learning – they will still speak with an ‘accent’! Palfrey and Gasser (2008) extend Prensky’s distinction further with the suggestion of a third group they call the ‘digital settler’, defined as those born well before the Net Gen, but who have adopted new technologies from the beginning. These learners may be more mature but are also comfortable with their adoption and use of technologies in their social and learning lives. Those working with older learners in various aspects of the lifelong learning sector may be able to identify settlers and the technological skills they bring to the learning environment. The adult and community learning classroom may well include a wide range of ages, abilities and levels of comfort with technology as natives, immigrants and settlers mix together in one learning environment. So by drawing on digital literacies – we can be innovative and creative as critical and empowering tool. however, if the tutor is a digital immigrant there can be a real dichotomy between the digital ease and practices of the learner and teacher which may result in a real barrier to engaging and motivating adults in the teaching of literacy. Thanks these are fascinating insights from such different contexts and perhaps – to answer Malinis question about research agendas – this might be the contribution of researchers in this area. Ie to begin to document and help facilitate action research on such experiences in different cultures. It seems that the examples on this thread point to processes of informal learning and how people work out their own strategies like the sheep picture for the husband. We keep advising that literacy providers start from where people are and build on everyday literacy practices. Maybe by starting with a new area like ICT they might be more likely to do this than with conventional literacy programmes. We tend to assume that ICT in itself is empowering but in a classroom it can be equally disempowering if taught in a formal way. Research in UK schools suggests that children learned ICT outside school in very different ways, as in Malinis example and once introduced in school ICT became more about skills and less about agency and voice. Thanks a lot for all the rich contributions. My apologies for not respond earlier – I was in a place with no internet connection and my phone connection did not work! Rather than responding to individual comments (all were fascinating) I will pick up on some issues that jumped out at me. The comments communicated to me a sense of excitement around ICTs, both amongst learners and practitioners in different contexts, as well as a recognition that it has not yet been explored enough. I also felt that in terms of pedagogy and content, what was being communicated stongly was that, using ICTs in AE could not be a case of old wine in a new bottle. The enthusiasm with which ICTs are used outside the classroom (whether AE or formal schools) are killed by schooled/formal practices. The ground has shifted and the adult education community has the space to respond innovatively. An important issue to think about is- if people are already using such a vast array of communication techniques (as many of the responses suggested) – can we call them illiterate? The definition of who is literate person is far from settled but we are possibly adding another dimension of complexity. The need to question “divides” in our approach comes through (or rather the need to blur boundaries) : classroom/real worlds; teacher/learner (it could well be that the learner knows more than the teacher, which is a wonderful inversion of power); traditional media/new media (including ‘old’ ICTs, like TV and radio and ‘new’ ICTs). The idea of working with a more seamless approach is appealing to me. Another important point for me was the idea of sustainability, which the discussions raised in two ways – to sustain literacy and from the perspective of arguing for sustainable programmes. All this of course points to developing collaborative and action oriented research agendas, (including looking at existing practices) especially since as some posts suggested there are no policy frameworks in place. Last but not least I think the importance of the social justice and empowerment comes through strongly. ICTs should not only be a tool, or a means for one way transfer. We should try and avoid the real possibility of ICTs reinforcing existing axes of disadvantage. In the example I shared we see how easily gender biases can also be transferred into new context and technology may not be transformative in and off itself.